How would you like to win this beautiful prize pack? Can you believe that this set is not real china? Yep, Mozaik is designed to look like real ware but it is actually plastic ware that you can either wash and re-use or dispose of. They are perfect for those times when you don’t want a lot of dishes to wash but don’t want to look cheap with flimsy paper plates either. You know what else these would be good for? They would be perfect for large sit-down dinner parties especially when a children’s table is involved. You don’t have to set their table with your fine china and be pins and needles all night but you won’t have to set theirs with cheap paper plates either. Use these plastic ware which look amazingly like the real stuff and you won’t have to worry whether the kids drop them or lose the silverware in the trash can. I received the same prize package to try out and I must say my girls and I were impressed by the quality. When you set the table, none will be the wiser that they are made of plastic. That is of course until they pick them up. lol! They are lightweight, but sturdy enough to handle the weight of food without folding on you or seeping through. At Thanksgiving, we used the platter for the turkey and set the table with the plates and utensils. It was just the five of us for dinner, but after the food and settings were laid out, it looked like a feast for many. The plates looked so elegant! Here’s your chance to win a set of Mozaik “Designing Spaces” prize pack. Read below what you need to do. 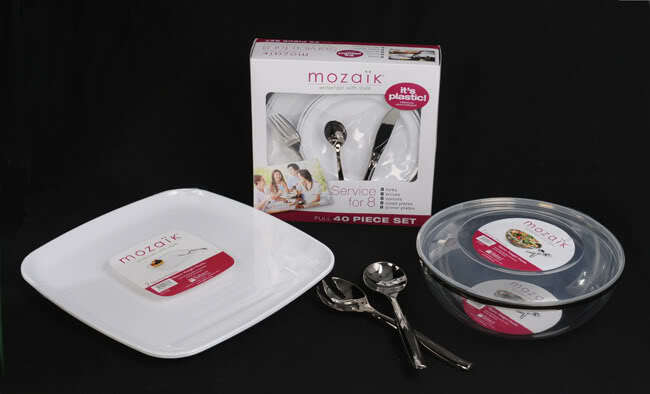 THE PRIZE: Mozaik “Designing Spaces” prize pack: Service for 8 kit (full 40 piece set), serving utensils, platter and bowl. 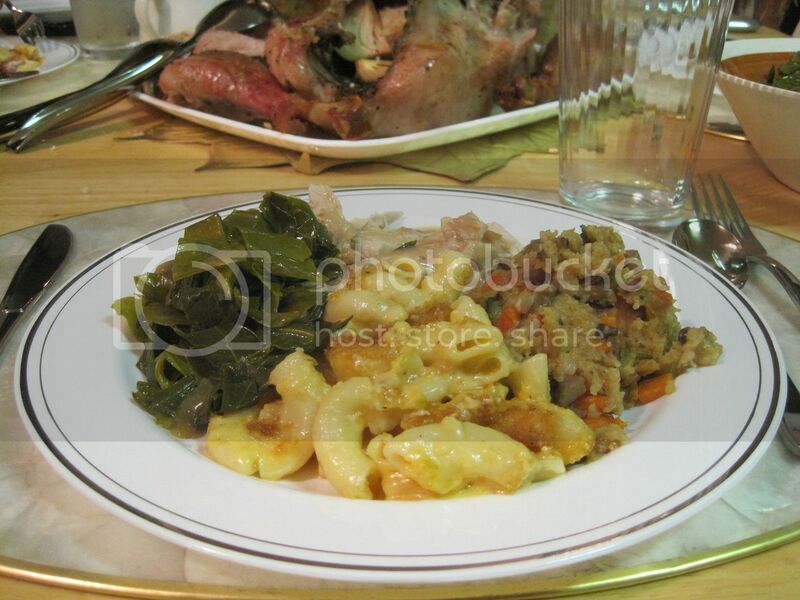 MAIN ENTRY: LEAVE A COMMENT – Tell me if you use real china or disposables for your Christmas Dinner. 5. SHARE THIS – share this post as many times as you want (leave separate comment each time) on any of the social networking sites listed on the ‘Share This’ button at the end of this post. END DATE: This giveaway will end on December 20, 2010 after which commenting will be closed. Winner will be announced soon after and notified by mail. The giveaway prize pack that I received were provided by Mozaik “Designing Spaces” through MyBlogSpark. 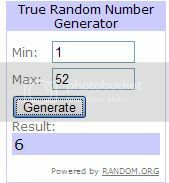 They will also fulfill your prize at the end of this giveaway.